After two years of moving around, the Qeenormous Maximus is looking to find a permanent home. The piece has traveled throughout California in galleries including 1AM, D-Structure, and Filthy Dripped. This is one of very few five foot Qees in the world. It has been meticulously painted by DLi$h to become the ultimate show stopper. The toy was slaved on for just under two months before completion. Weighing in a just over 70 pounds, this toy is no toy. 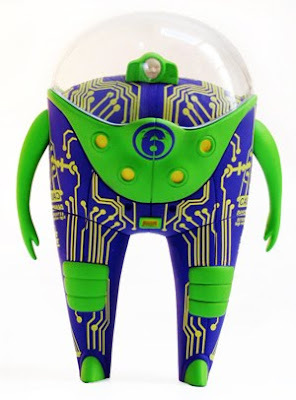 Unlike most custom toys, this piece is made of fiberglass rather than vinyl. 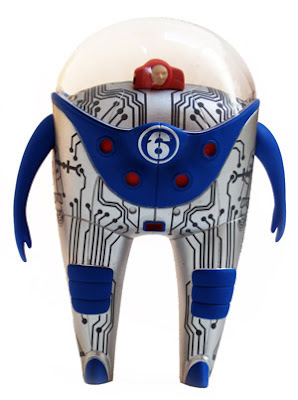 The theme behind Qeenormous Maximus is the idea of creating an entire world that lives within the toy. You will find numerous windows that show a surreal setting of monsters, machines, and diabolical mayhem. Go eye to eye with Qeenormous Maximus and you will find yourself staring at two naked girls posed elegantly awaiting their savior. This piece begs to make the statement that vinyl toy art is not just a hobby; It’s the new emerging medium in the urban art world. The piece will be auctioned on Ebay w/ the opening price starting at… ONE PENNY. 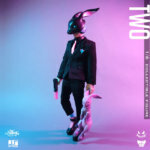 10% of proceeds will go to Project Open Hand, so we’ll see what Qee can do for the world. Click here to view the ebay auction and please pass this info around, it's for a good cause! 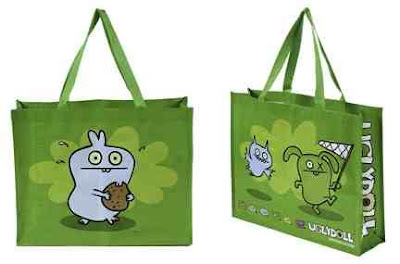 Uglydoll Tote/Shopping Bags only $5! Brandt Peters Serv-o-matics by MINDstyle. Will open some boxes soon! Ron English Popaganda mini figures by MINDstyle, window-boxed. Also available in full sealed cases of 12. Our next custom show will be a collaboration with the NY artist NEMO using Rollies (mini roll-on deodorant bottles) as platforms! The show will go live at 7PM on October 30th at a graffiti supply store in Corona, Queens called All the Right. We've also set up Tenacious Gift Certificates which can be purchased in any dollar amount and sent via email to the recipient!